Are you about to move a home? Moving Service should always be the first company you call when thinking about removals in Millwall, E14. Thanks to the industry expertise which we possess, it’s our aim to make moving into the new home as simple and as easy as possible. Why worry about the hassle and stress of moving a house? Hiring the right professional movers allows you to relax while we do all of the heavy lifting. But what exactly can you expect from a professional firm and the area itself? 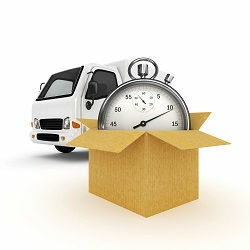 One of the best services which we have to offer is our packing service and unpacking service. Getting everything properly packed and stored before the move can be difficult, with even settling on the right packing and materials being tough. Thankfully, the help which we offer is ideally suited for those who don’t have the time or expertise to pack everything themselves. In fact, one call on 020 8746 4402 means being able to get a free quote and to discover just how easier your life can be when you leave the packing up to us. Do you want to be certain that your possessions arrive safely? Our expert help is the right answer. What Can I Expect In Millwall? Found in the London borough of Tower Hamlets, and more specifically, on the south west side of the Isle of Dogs, the area is one of the more famous parts of East London. Famed for their football team that plays at the Den, South Bermondsey and the enthusiasm of the supporters, the club has been playing in the English leagues for close to one hundred and thirty years. But the area has a lot more to offer with a number of local bars and venues, the night life is always interesting and, as elsewhere in London, there is a huge amount of history along every street. For those who are thinking about the surrounding area, public transport can make everything easy. As well as local buses, the trains depart from stations such as Mudchute, South Quay in Canary Wharf and Cross Harbour in Cubitt Town. If you would like to walk, then local places include Poplar, Ratcliff, Limehouse, Stepney, Fish Island, Blackwall, Coldharbour, Leamouth and Wapping. Removals can always be different which is why we offer a broad range of options. We want to find the right solution for you, and as such, one of the key services which we provide is our man with a van. Unlike larger scale removals, this solution is more streamlined and simple, helping those who are thinking about smaller or medium sized moves get the right help on the right kind of scale. Rather than worrying about getting the biggest solutions, call Moving Service and discover what our man with van can do for you. Of course, our services are not limited to those who are moving a home. If you are a company thinking about office removals in Millwall, E14 then we are the ones you need to call. We ensure that you are able to remain productive and efficient, allowing you and your staff to focus on the more important things while we handle the heavy lifting. Thanks to our office and commercial removals, any business venture can discover just how easy it is to move into a new property without worrying about how to get everything packed. To find out more about what we offer and to get a free quote, just call 020 8746 4402 today.